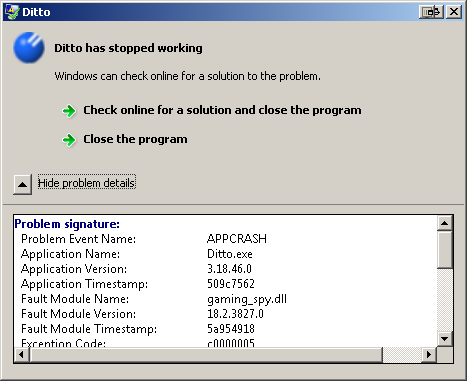 After upgrading to Skype 8.25, ditto always crashes when Skype is launched. Why? I use Skype 8.25 with Windows 7 SP1 x64 Ultimate. I didn't have such issues before upgrading from Skype 7 to Skype 8.25. 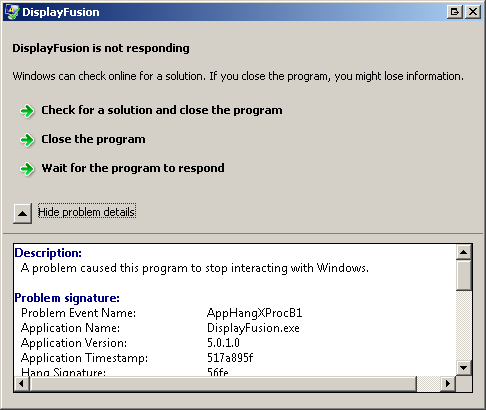 I have also noted that a few other programs are much more likely to crash after Skype 8 is opened, such as Dragon NaturallySpeaking 12.5 Professional, Point-N-Click 2.10.0.1, Display Fusion 5.0.1.0, and Windows Explorer, but unlike Ditto they don't crash systematically. Browse other questions tagged windows-7 crash skype ditto or ask your own question.